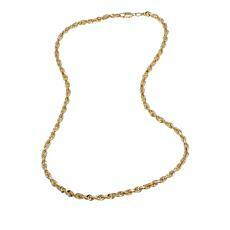 Turn heads with a classic yellow gold rope necklace during your next evening out. Simple yet stunning, these necklaces can complement your finest cocktail attire or dress up a jeans and T-shirt pairing. 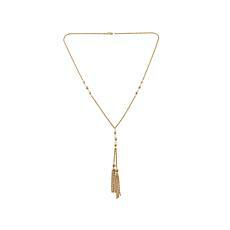 You can find these finely crafted rope necklaces in a variety of styles from HSN. Look for high-quality brands such as Michael Anthony Jewelry, which is Italian-inspired and intricately crafted. 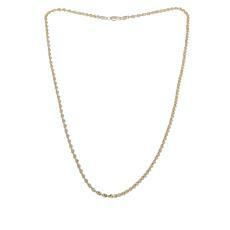 The chains come in a variety of lengths ranging from 16 to 30 inches. 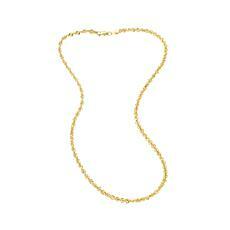 For a timeless look, opt for a single-strand yellow gold rope necklace that catches the light wherever you go. Add a tasteful pendant to the necklace to show off your personality and style. 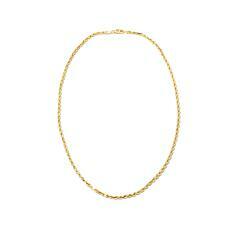 If you want a more embellished look, try a yellow gold rope necklace with a tasseled strand down the center. It looks just as good paired with a plain turtleneck as it does with a low-cut dress. You can find layered rope necklaces, as well. 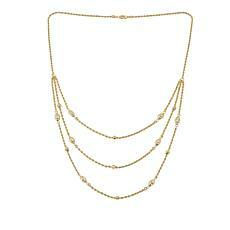 A three-tiered layered chain with sparkling beads looks truly stunning. 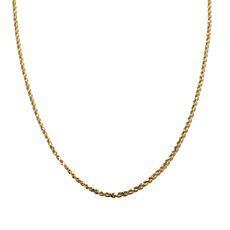 A yellow gold rope necklace makes for a sophisticated gift for either yourself or a loved one. Find the perfect one, whether simple or splashy, at HSN.